Freaky Aces is packed with world's best known online casino games. Around 1500, to be exact. If you're already registered with Freaky Aces, you probably know how awesome it is to play here. Freaky Aces Casino not just another average online casino. Freaky Aces is packed with world’s best known 1500 online casino games. You can enjoy playing on tablet, desktop or mobile. Casino offers games powered by best known providers – Microgaming, BetSoft, NetEnt, Pragmatic Play, Endorphina and other. Moreover casino has great package of bonuses and is licensed by Curacao eGaming. 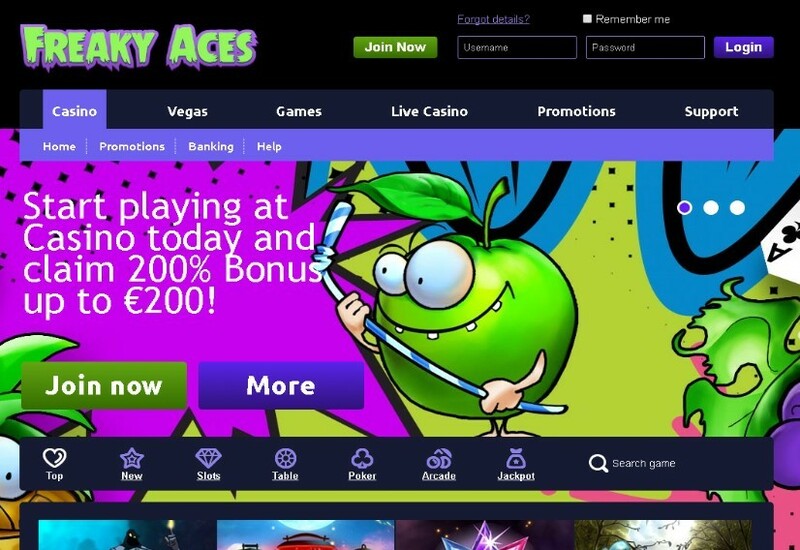 Freaky Aces offers approximetly 1500 online slots and games, table games, video poker, arkade and jackpot. Casino offers both, as the best known games and as newest: Starburst, Twin Spin, Gonzo’s Quest, Neon Reels, Warlords, Joker Pro, Wild Wild West: The Great Train Heist, Jungle Spirit. Table games list includes: Roulette, Black Jack, Punto Banco, Baccarat, Joker, Holdem. Casino also offers: Poker, Arcade, Jackpot. In case You have some qiestions, You may visit FAQ section in casino website. Also You can reach support team via live chat on Mon-Fri from 8am – 8pm. You can send an email daily from 8am – 8pm. To ensure the security and privacy of players data, casino uses 256-bit SSL encryption. Players residing in USA and in countries where online gambling is considered illegal are not allowed.